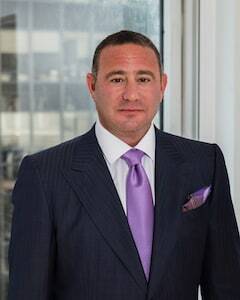 Brad Gerstman, a former Bronx County Assistant District Attorney, is a leading New York State attorney with unique public relations skills. His aggressive approach is well known throughout NYS. His diverse background and extensive experience in law, business, government relations, education, and the not-for-profit community places him in a unique position to represent and advocate for those facing harassment or any wrongdoing at the hands of their employer. Most recently honored with the Leadership in Law award by Long Island Business News. Prior to that, in his previous role as prosecutor, Brad faithfully served New Yorkers through his investigation of corporate fraud and corruption cases, as well as his tenacity in prosecuting violent criminals. From the DA’s office, Mr. Gerstman went on to head a law firm that focused on government relations, criminal defense and of course employment law. During this period he handled numerous high-profile cases that included the protection of individuals and children against large corporate and government interests. One of his strongest skills was developed in the DA’s office and necessary in employment law cases, to investigate the matter thoroughly to obtain the necessary facts to piece together the strongest possible case for our clients. Mr. Gerstman is also a strong advocate for children with special needs. He currently acts as both co-founder and board member of the Lisa Beth Gerstman Foundation, a family foundation that provides summer camp experiences to children with physical and developmental disabilities. In the past, Brad has also served as the Long Island Advocacy Chair for Autism Speaks, one of the nation’s largest autism advocacy organizations, as well as Advocacy Chair on the 2007 Long Island Walk Now for Autism Planning Committee. In 2008, Brad was appointed by former Nassau County Executive Tom Suozzi to chair his Autism Coalition. In addition, Mr. Gerstman was elected by the Long Island Autism Coalition Board to serve as Counsel to their organization. Active in both his professional life and community, Mr. Gerstman has been appointed by the Nassau County Legislature to act as a member of the Board of Directors for the Nassau Health Care Corporation. As chairman of the Facility Committee, Brad spearheaded a $750 million makeover of the hospital, clinics, and senior living facility. In addition, Brad served on the executive committee for the hospital, and acted as Vice Chair and Board Member of the Long Island Medical Foundation. Mr. Gerstman was appointed by Governor Patterson to the Governor’s Council on Interactive Media and Child Violence. In the past, Brad has been named Honoree at the Child Abuse Prevention Services yearly Gala for his work in protecting children. Additionally, Mr. Gerstman holds memberships on various political committees and is currently a Board member of the Holocaust and Tolerance Center of Nassau County and the Adelphi President’s Council. Mr. Gerstman is an active member of SuperLawyers, New York State Bar Association (NYSBA), NELA/NY National Employment Lawyers Association - Advocates for Employee Rights, The American Society of Legal Advocates (ASLA), American Bar Association (ABA), Section of Labor and Employment Law, New York State Bar Association, Labor and Employment Law Section (LERA), Long Island Labor and Employment Relations Association. At his alma mater Hofstra University, Brad played 4 years of varsity football. In his spare time, he enjoys competitive boxing and supporting all New York professional sports teams except for the Jets.